Oh hey, flat tummy! 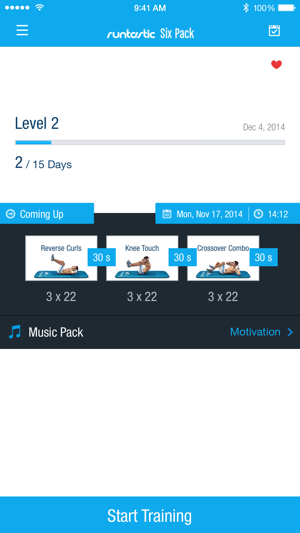 Download Runtastic Six Pack Abs app & define your abs with Runtastic today! These six pack abs workouts are amazing! Your abdominals will never look the same. Follow your ab trainer & complete an intense, customized six pack abs workout right from home (or anywhere!). Fitness is not one size fits all, & your abs routine shouldn’t be either! Start your training plan today & shape up your abdominal muscles with your personal ab trainer. No time for an abs workout? Not enough cash to hire a personal trainer? Want to work out at home? Unsure how to perform a new ab exercises (i.e. sit ups and planks) in a safe, effective manner? Ab challenge for everyone! Keep your ambitions high with the Runtastic Six Pack Abs Trainer, Exercises & Core Workouts app! Lifelike avatars, Daniel & Angie, guide you through transformative abs workouts. 50+ HD tutorial ab exercise videos help you maximize your core strength and overall fitness. 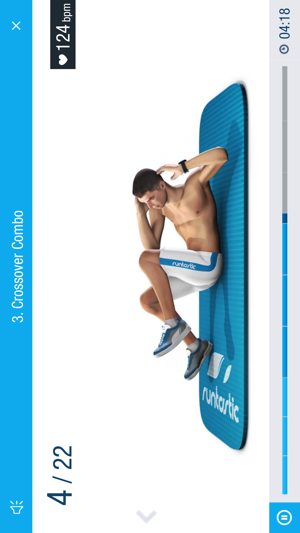 Get the Runtastic 6 Pack app today & get your abs and core defined like never before!